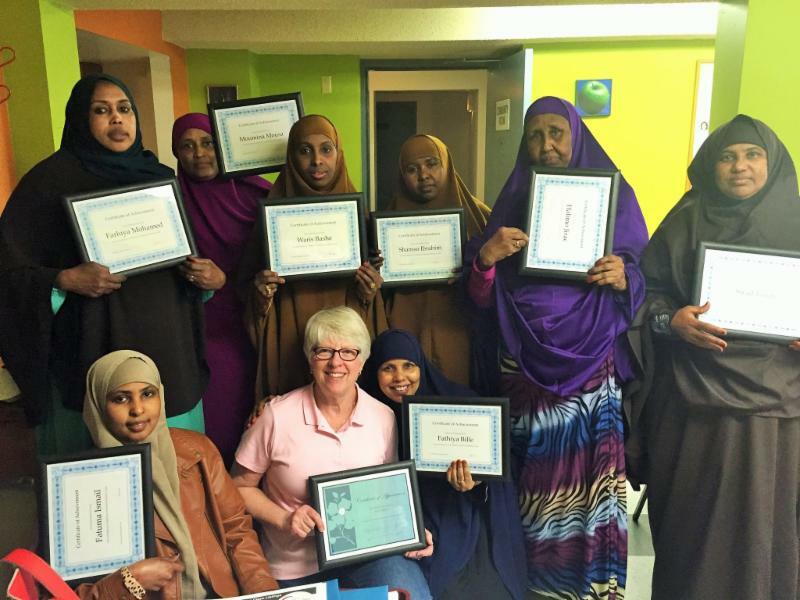 The residents of PPL's Canadian Terrace Apartments recently came together to celebrate the success of their first sewing program, a 14-session class taught by volunteer Ann Rhea. Help people who are transitioning out of homelessness by preparing a kit of essential supplies for their new home! Through this meaningful project, you’ll help our neighbors in need and learn more about the challenges of homelessness in our community. PPL Youth Say Thank You! Thanks to all our wonderful youth and volunteers who made 2015-16 programming possible! Watch the video of youth thanking their Tutor-Mentors, compiled by one of our South Minneapolis Tutor-Mentors! On January 15, KARE 11 featured the Learning Center’s very own Ken Kraemer during a series about volunteerism in honor of Martin Luther King Jr. Day. A five-year Access Lab veteran, Ken continues to bring a wealth of expertise and attention to detail to the lab. If there’s a mistake on a flyer or an online application that needs restructuring, Ken’s on it. Thanks Ken! Love shopping the back-to-school sales? Donate a filled backpack (or two) to a PPL youth! This is a great opportunity to involve your neighborhood, faith community, friends or family in a service project! Supplies needed are listed here. Drop off at PPL Service Center by Thursday August 18th @ 5pm.